As Edmonton tries to build its downtown into a tech hub, our city’s large Indigenous population not only needs to be welcomed, it could offer economic and innovation opportunities. There’s an untapped power of Indigenous knowledge in Edmonton. This has to be considered as the city tries to build and brand itself a tech and innovation hub. The question for some might be, can Indigenous business models be compatible with western ideals of a knowledge economy? Jacquelyn and Hunter Cardinal are building their business on just this kind of combination. In March 2016, the Cardinal siblings launched Naheyawin, an Edmonton communications and engagement agency that is firmly grounded in traditional teachings from their heritage at the Sucker Creek Cree First Nation, with a liberal dose of modern business methods and technology thrown into the equation. As she got her post-secondary degrees and travelled around Europe, Jacquelyn, 26, realized that, for years, much of her work had revolved around computers and tech. But she didn’t initially see it as an industry for her. Instead of waiting for the industry to change, Jacquelyn, now equipped with a diploma in Digital Media Production from Edmonton Digital Arts College and a Bachelor of Arts from the University of Alberta, created a space for herself by co-founding Naheyawin with her younger brother Hunter. Jacquelyn is the company’s director of experience design and Hunter, 23, is director of story. While the Cardinals may have a unique approach to tech and communications, they’re joining a growing field of Edmonton entrepreneurs looking to build the city’s next successes in tech, as Alberta’s energy industries wane and more downtown offices sit empty. The Information and Communications Technology (ICT) “sector in Edmonton is growing, especially in the software and computer services sub-sector. Within the sub-sector, Edmonton companies excel in three areas – data analytics, enterprise application software, and game development and digital media,” says David Kane, from the Edmonton Economic Development Corporation. “Some of Canada’s most innovative ICT companies, such as Darkhorse Analytics, Intuit Canada and BioWare are located in Edmonton.” And in July of this year, DeepMind Ltd., a division of Google’s artificial intelligence (AI) division, announced their first research lab outside of the United Kingdom will be in Edmonton. 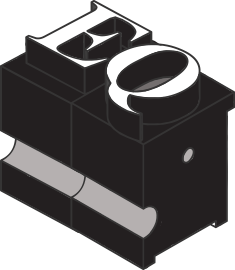 AI is another field Edmonton is looking to establish itself as a centre of excellence in. Edmonton Mayor Don Iveson’s re-election campaign included a pitch to create an “innovation corridor” along the central core of the city’s LRT lines. The tracks connect major post-secondary schools like the University of Alberta, MacEwan University and the Northern Alberta Institute of Technology (NAIT). This potential corridor is also home to Edmonton’s downtown, which is finding itself with more vacancy, and Iveson’s pitch includes using that empty office space to launch and incubate startups, tech companies and AI businesses. The City of Edmonton recently signed a memorandum of understanding (MOU) with the neighbouring Enoch Cree Nation to create Edmonton’s first urban reserve. This is a place that would act as a hub for Enoch, creating space for cultural and community programming, and a chance for Indigenous entrepreneurs to open businesses in the heart of the city. To coincide with this year’s National Indigenous Peoples Day, TD Economics issued a report on the business outlook for Indigenous businesses (based on the CCAB’s 2016 survey data). The TD report found that Indigenous-owned businesses were more likely to innovate and launch new products than other businesses in Canada. It’s going to be the combination of Indigenous and western values that sets Naheyawin apart in this burgeoning startup scene. Jacquelyn doesn’t see a need to choose between a western and Indigenous business model. Hunter and Jacquelyn Cardinal at the Naheyawin office. But Jacquelyn feels tech was, or can be, built on a very different ideal. In theory, the industry “prides itself on meritocracy, gender blindness and colour blindness,” she says. This vision of tech has parallels to Indigenous worldview, which values culture, is inclusive and is based on merit. 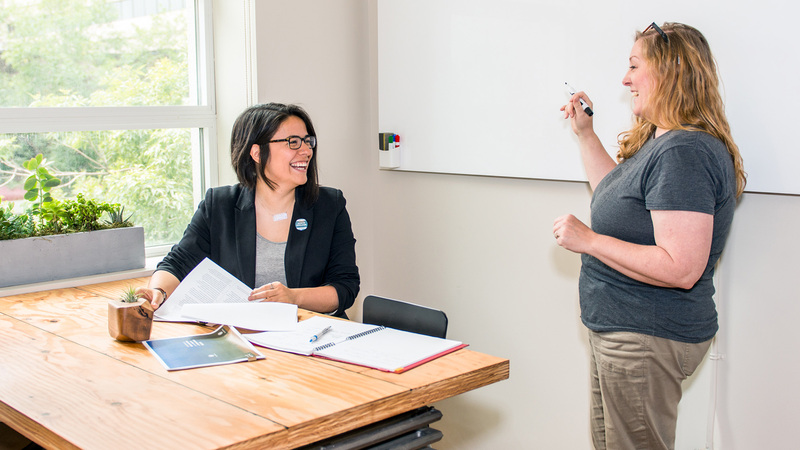 For Jacquelyn, building community capacity is part of running a social enterprise – the company not only puts the majority of its profits back into the community, but also looks to create opportunities for others, including their employees. “We’re hoping that doing this kind of stuff, especially in the tech sector, inspires other people, especially Indigenous people, to start their own businesses,” says Jacquelyn. def: There is room. You are welcome. Tatawaw is important to Jacquelyn because businesses in Canada can play a large role in furthering reconciliation. The initiative, which she calls treaty projects, gives businesses in Edmonton, especially those that have spaces the public can enter, a chance to learn Indigenous principles of welcoming. “We have to look at where there is power in our society, and businesses have an immense amount of power because they are such an important part of our everyday lives,” Jacquelyn says. In the first month, 22 businesses have signed on in an act of reconciliation. Jacquelyn, however, is already looking forward to a time when the program becomes redundant. Aksis, the Aboriginal Business and Professional Association, wants to make Edmonton the Indigenous business capital of Canada. Rocky Sinclair, Aksis president, realizes this is a lofty vision, but the organization looks at it from a historical context. Edmonton, or amiskwaciwâskahikan in the Cree language, has been a gathering place for Indigenous peoples for thousands of years. Edmonton’s Indigenous population is very diverse, which makes it the perfect place to incubate and grow Indigenous-owned businesses. “There are a lot of Indigenous people who look to entrepreneurship and business as an option,” Sinclair says. Jacquelyn says the support of Aksis and other organizations helped her find a safe place for networking, asking questions and learning. Sinclair emphasizes that Aksis membership is not restricted to Indigenous business owners and professionals. While tatawaw is important to Naheyawin’s community work, tech is at the heart of what they do. From Jacquelyn’s self-described “tech nerd” perspective, this is the perfect time for Indigenous people to become part of a new movement and she wants to make sure other young Indigenous people see role models when they look around the room. “I feel a real sense of being in history already and being a good ancestor as much as I can,” says Jacquelyn. The CCAB backs Jacquelyn up – according to their 2016 Promise and Prosperity Report, the demand for talent in the Information and Communications Tech (ICT) field is expected to “increase significantly in the next five years.” And Statistics Canada reports that the unemployment rate in 2016 among youth with jobs in the ICT industry is just 3.3 percent compared to the national average of 11.8 percent for the same population. There are no statistics about the number of Indigenous people employed in tech industries and Jacquelyn is collecting her own data from businesses within various tech fields. Jacquelyn and EDAC's Pam Brierley discuss Indigenize Tech strategy. Jacquelyn doesn’t just speak about the potential for change, she helps create it. Naheyawin recently built a partnership with the Edmonton Digital Arts College (EDAC) and Homestead Coworking called Indigenize Tech. 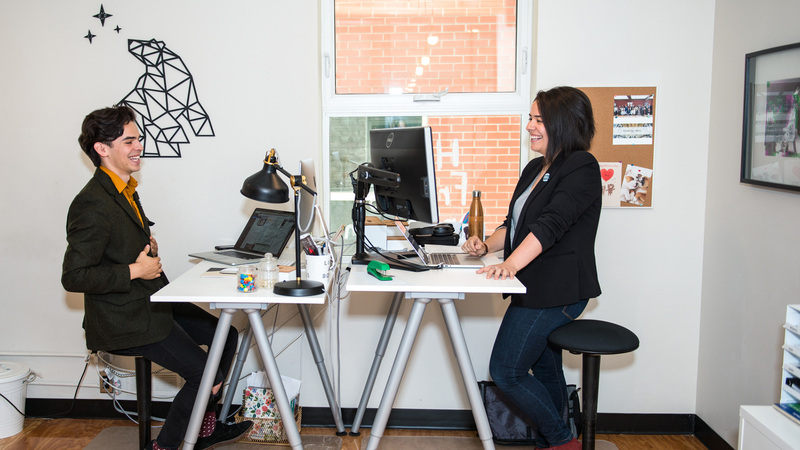 Indigenize Tech’s short term goal is to bring Indigenous people, who make up about five percent of Edmonton’s population, to at least parity in the tech industry. They are building that goal on three pillars. The first is to “develop opportunities for Indigenous youth to [engage] with tech in a meaningful way that shows that the tools can be used to solve problems,” says Jacquelyn. Building capacity in youth is a critical component of Indigenize Tech’s work because “half of the Indigenous population is under the age of 25. It’s really important to target them because they are the future.” That means exposing young people to tech and finding “excited, interested teachers to teach classes” and build digital literacy. Written by Rhonda Kronyk. Photos by Samantha Parker. Questions about this story? Comments? We’d love to hear from you.